Professor Layton and the Azran Legacy arrived in Europe last week, bringing a close to that particular part of the franchise, even if Level-5 is continuing the Layton name in other titles. UKIE has now issued its multi-platform chart results and, considering the range of big-name multi-platform releases, the excellent finale performed reasonably to secure 13th place. That said, it's clear that the selling power of the franchise isn't quite what it was at its height in the DS days — they've shown a downward trend — so a reboot and fresh ideas may revitalise commercial success. Call of Duty: Ghosts has, unsurprisingly, seized top spot, though a sobering statistic is that the PC and Wii U versions accounted for a combined 1% of sales. In terms of Nintendo exclusives, Pokémon X reasserts its narrow dominance over Y, with those titles in 14th and 15th places respectively, while Animal Crossing: New Leaf managed to secure 20th place. Moshi Monsters: Katsuma Unleashed and Luigi's Mansion 2 are two other 3DS-only titles to sneak into the top 40, in 35th and 38th respectively. There are a few other Nintendo exclusives to join the charts this week, too. 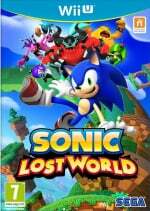 Sonic Lost World has spun itself into 34th place, grabbing a few coins in the process. 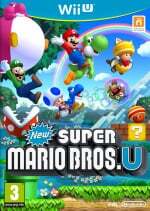 From a Wii U perspective we have two entries that suggest, to some degree, some minor progress for the latest Mario Bros. hardware bundle — New Super Luigi U and New Super Mario Bros. U are in 31st and 33rd places. No Nintendo system releases are firing at the top end of the chart right now, but with multiple big-name multi-platform games that was always going to be a challenge. Let us know what you think of the results in the comments below. Call of Duty on PS4 (console not out for another 3 weeks) outsold the Wii U version, by quite a large margin too. It shows that not being on store shelves does but hold a game back like so many claim. If you can buy it on amazon it's enough. And that's why developers are dropping support for Wii U. People moan devs are giving the new consoles a chance despite no proof they will sell well, but it looks like its been worth it for them this time. Nobody should buy a game just to support 3rd parties, but those 3rd parties are equally justified in dropping support when every release bombs spectacularly. In more cheerful news, I reckon Mario 3D world will hit the top sales spot on release. Some big Wii games like Pikmin and Zelda came close, and hardware sales are slowly creeping up each week. If there were enough Wii u owners to get Pikmin 3 to number 2 way back in July, then there are definitely enough out there now to get a game to number 1. PC + Wii U was 1% of total COD sales but on top of that the PC version comprehensively outsold the Wii U version. 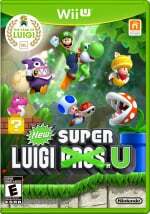 "New Super Luigi U and New Super Mario Bros. U are in 31st and 33rd places." That doesn't imply anything to do with the hardware bundle whatsoever to me. They would both have the same place if it was. @Peach64 I wouldn't get your hopes up about Mario 3D World getting to number one. Pikmin 3's number two debut came during an incredibly slow week for the UK retail market - to put it in perspective, it finished second to Minecraft on Xbox 360, which even at the time was a weeks-old release of a months-old disc release of a years-old game. Nintendo's figures have shown that there haven't been THAT many Wii Us sold since then, so I wouldn't be prepared to put money on a 3D Mario (which have never historically sold as well as the 2D games anyway) seeing off the challenge of Call of Duty, GTAV, Assassin's Creed, FIFA and the rest. Who knows, though; maybe it'll surprise me. @unrandomsam I said "minor progress", and clearly Luigi U picked up a few more disc-only sales. The fact a bundle includes both hints that it's maybe helped them both creep into the top 40, a bit like when Mario Kart Wii would randomly appear last year when, coincidentally, a Wii bundle was doing the rounds. Too bad. Azran Legacy is the best Layton since Pandora's Box. @Garo Yes, I agree. I just finished it last night and I'd say it's one of the top 3 Layton games, which is why it's a shame it's only made it to 13th in the UK chart. I'll buy the latest Layton game once I buy the first 3DS one. So many games to buy, I just haven't gotten around to getting it. PC versions never sell yet they never talk of discontinuing PC versions, just Wii U versions which sometimes do sell really well (Rayman etc). @dumedum PC games sell over time, bringing in a constant revenue stream for decades. Console games won't sell once the console is gone, meaning it has to sell at launch. @Garo I disagree. The Lost Future is still the best game in the entire series for me, followed closely by last year's The Miracle Mask. I'm still enjoying Azran Legacy a lot though (not finished yet, only about 7 hours into it). Oh, come on Nintendo gamers! Even the Wii versions of CoD games managed to sell decently! So Activision will be gone, Ubisoft are guaranteed gonners as soon as ACIV flops. Looks like I've got another Mario/Zelda/Pikmin/Dust box. I've tried to persist, but my Wii U will be useless in 2015. This makes me really sad. Nintendo won't be able to do the 3DS strategy this time. If they only would've made the Wii U more powerful. No one buys a Nintendo console to play COD or any other multi-platform title, for that matter.